Quorum is the reigning BHS International 4th place Bronze medalists! 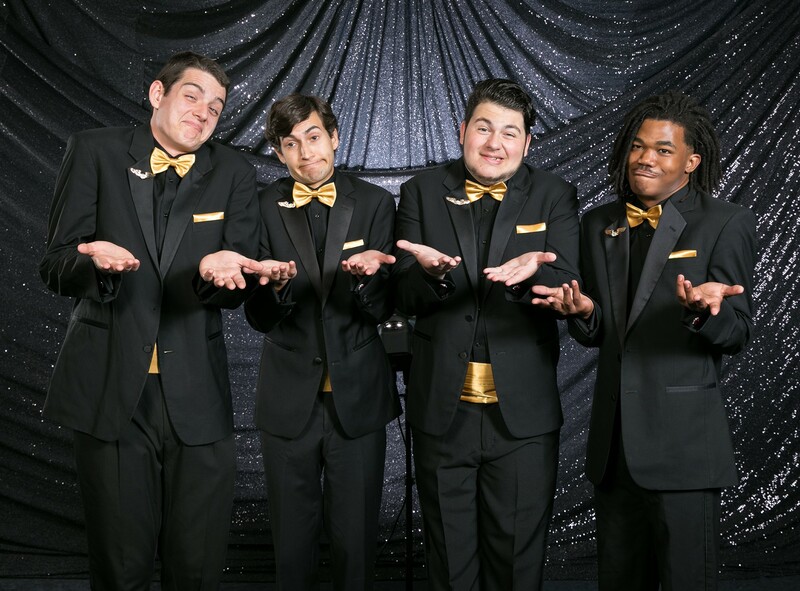 The quartet was formed and became an official Barbershop Harmony Society Quartet in 2014. Members include Nathan Johnston-Baritone, Chris Vaughn-Lead, Gary Lewis-Bass and Puck Ross-Tenor. Unfinished Business won 4th place medals in their first International competition in 2017 and rose to 3rd in 2018. All 4 members are also members of the Gold medal Vocal Seniority chorus that finished first in the chorus competition in San Antonio. Members are Jeff Gehm – lead (and also bass in MOI), Bob Godot -bass, George Lepsch – baritone, and Dave McKinnon -tenor. The Tune Squad qualified for the International Youth Barbershop contest in 2017 and finished 15th in the world! 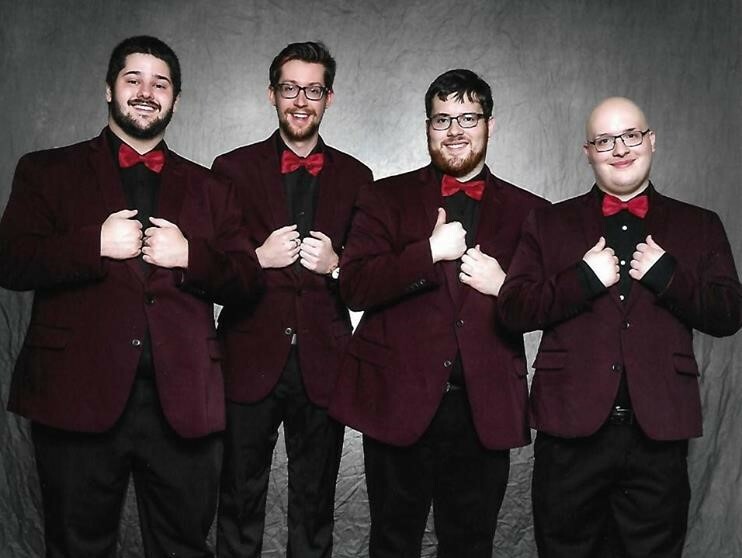 This past October Hot Air Buffoon, Mark Lang substituted for Luke Schmidt as the group’s baritone and they garnered a 5th place finish in the Johnny Appleseed District. 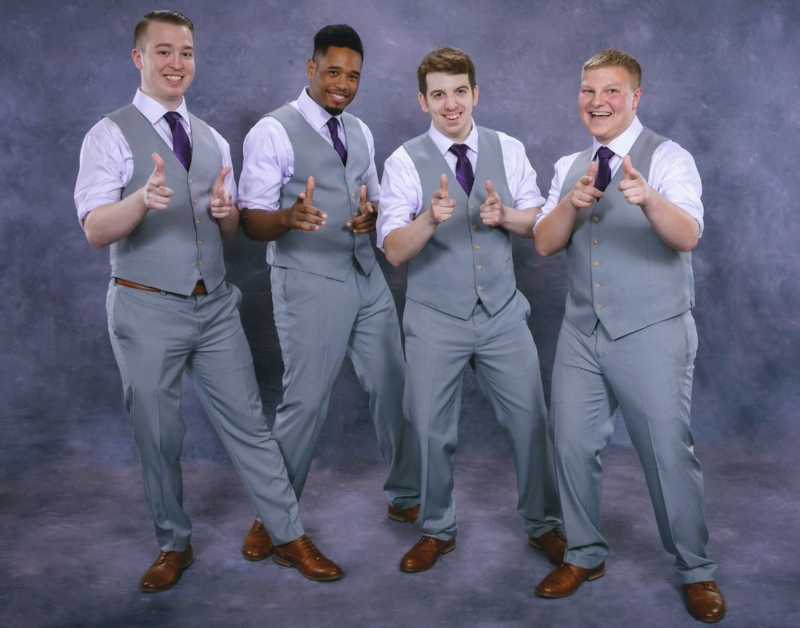 In January they qualified for the 2018 BHS International NextGen Quartet contest and finished in 6th place in the world! Members include: Luke Schmidt-Baritone, Dean Moore-Bass, Tyler Dohar-Lead and Jonathan Lang-Tenor). Wing It formed in the fall of 2016 and competed in their first Johnny Appleseed District contest in the Fall of 2017, reaching the finals and winning the 2017 Novice Quartet Championship. In January 2018 they qualified for the BHS International NextGen Quartet competition, establishing them as one of the top 20 youth quartets in the world. They finished 17th in the world in their first International contest! More recently, they qualified for the 2019 NextGen Quartet Competition in Salt Lake City in July 2019. Wing It includes: Kyle Fisher (tenor), Brandon Zlotnik (lead), Giovanni Castiglione (bass) and Hollis Wilson (baritone). 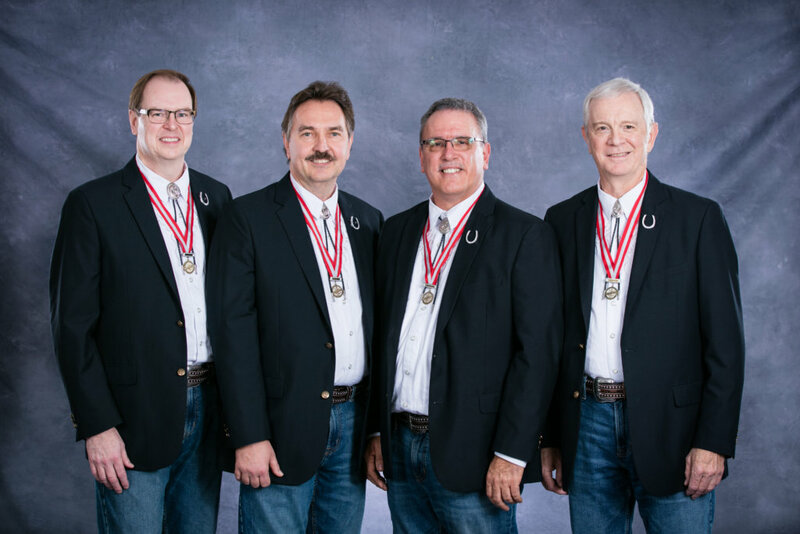 The Playhouse Squares are the newest quartet formed from the ranks of the Men of Independence and represent the growing trend toward younger barbershoppers on the chorus risers. They formed in January 2018 and began performing for audiences at the MOI Spring Cabaret that year. They competed in their first Johnny Appleseed District quartet competition in the Fall of 2019. Audiences enjoy their smooth blend and see great things on the horizons for this young quartet. The Playhouse Squares include: Alex Hackworth (tenor), Ian Hackworth (lead), Grant Campbell (bass) and Tim Heilmann (baritone).